Photographic postcard in color featuring the missionary church for which Old Mission Peninsula derives its name. Peter Dougherty founded the mission in 1842; his home was built in the same year. The date of construction of the church building is thought to be around the same time. 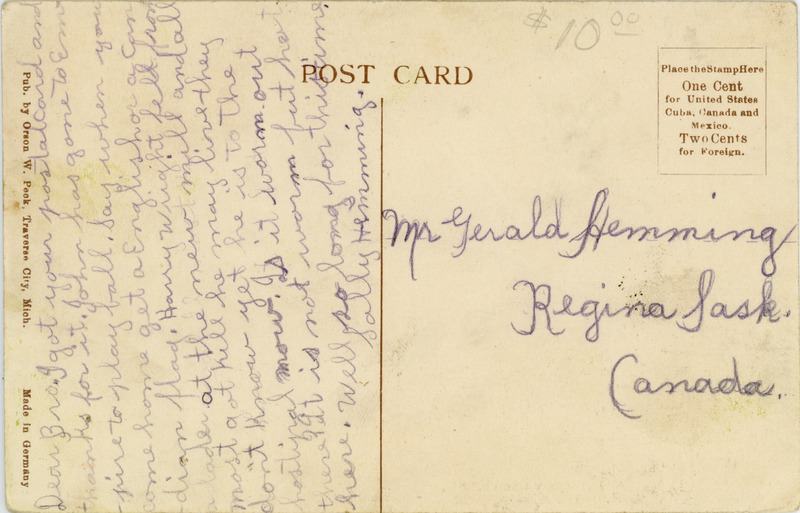 Postcard is not postmarked. 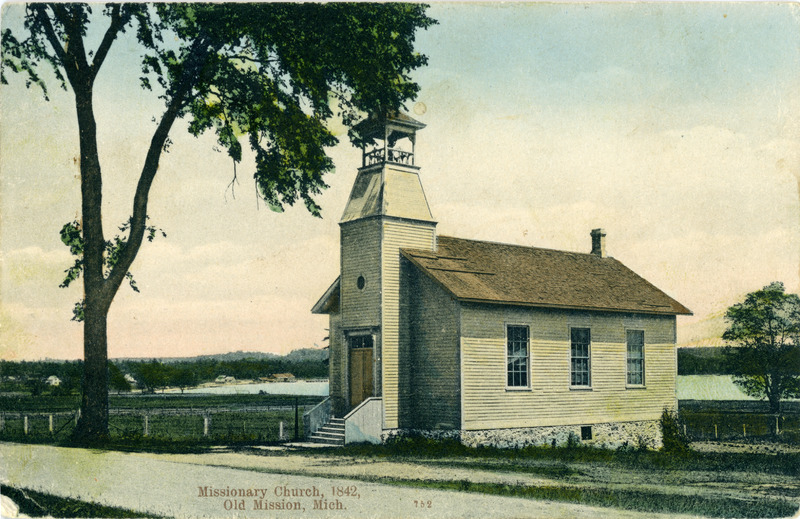 Orson W. Peck, Traverse City (Mich.), “Missionary Church, postcard, undated,” TADL Local History Collection, accessed April 21, 2019, https://localhistory.tadl.org/items/show/1637.